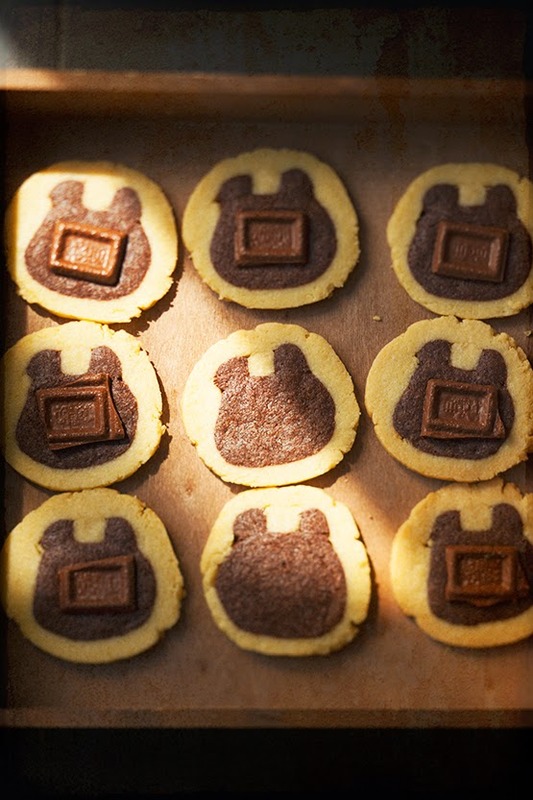 These are bear cookies that can be made without a mold. No matter where you cut the dough, a bear face will show up! 1. Measure all the ingredients. Make the white cookie dough. Bring butter to room temperature to soften it, place it in a bowl, and use a spatula to mix it until it reaches a creamy consistency. Add the granulated sugar one third at a time and mix well every time. 2. Add the egg yolks, which should have been brought to room temperature in advance, and mix well.Add the almond powder and mix well. 3. 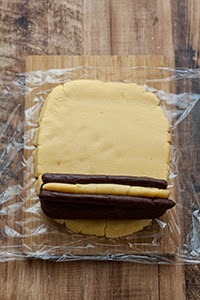 Finally, add the flour and mix until incorporated, gather the dough together and wrap it with plastic wrap. 4. Make the cocoa cookie dough. The first two steps are the same as for the white cookie dough. 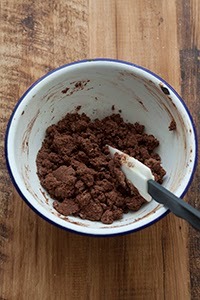 After adding the almond powder, add cocoa powder and mix well. 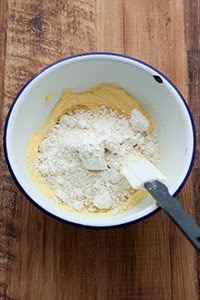 Finally, add the flour and mix until incorporated, gather the dough together and wrap it with plastic wrap. 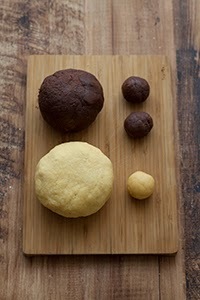 Take two pieces of about 20 grams(0,7oz) from the cocoa dough and round them. 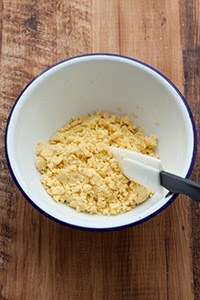 Round the rest of the dough in one single piece as shown in the picture. 6. 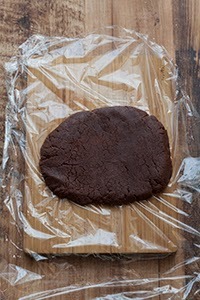 Put the big piece of cocoa dough on plastic wrap. Roll it out with a rolling pin to a length of about 15 cm(5,9in), then roll it starting from one side and adjust the shape. Keep it in the plastic wrap while you adjust the shape. 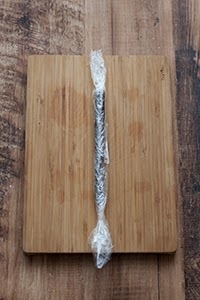 Place a small piece of cocoa dough on plastic wrap and roll it out with your hands into a string of about 15 cm(5,9in) in length. Make two of these. 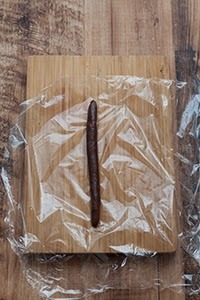 Place the big and small pieces of cocoa dough wrapped in plastic wrap in the freezer. 7. 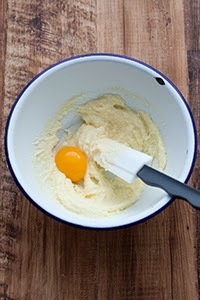 Take a piece of 20 grams(0,7oz) out of the white cookie dough and round it. Round the rest of the dough in one single piece. 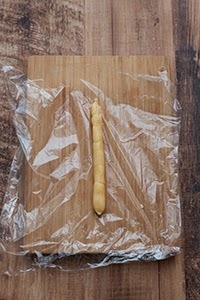 Place the small piece of white cookie dough on plastic wrap and roll it out with your hands into a string of about 15 cm(5,9in) in length. 8. 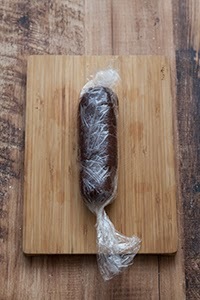 Take the cocoa dough out of the freezer and unwrap it. 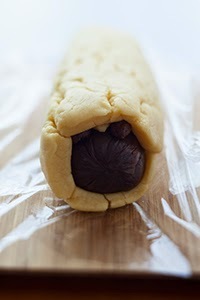 Place the white cookie dough string at the center of the top of the big roll of cocoa dough. 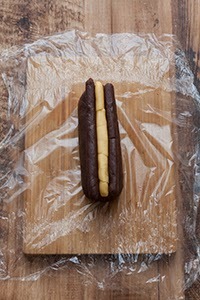 Place a string of cocoa dough at each side of the white dough. Place the above on the big piece of white dough and roll starting from one side. 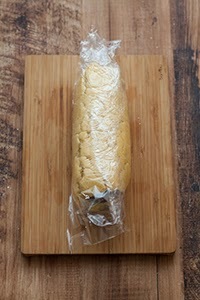 Wrap it in plastic wrap and cool it in the fridge for more than one hour. 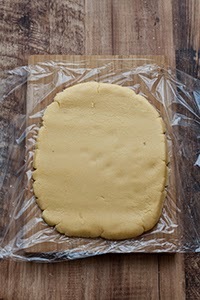 After you wrap the dough, make sure that you keep it so that the string shaped dough parts will be on top. Take the dough out of the fridge and slice it in 18 pieces. 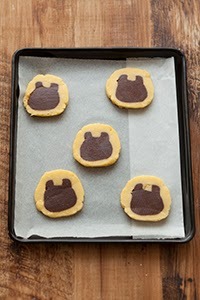 Place a cooking sheet on an oven plate, put the cookies on top, bake for 20 minutes and let them cool down on a rack. 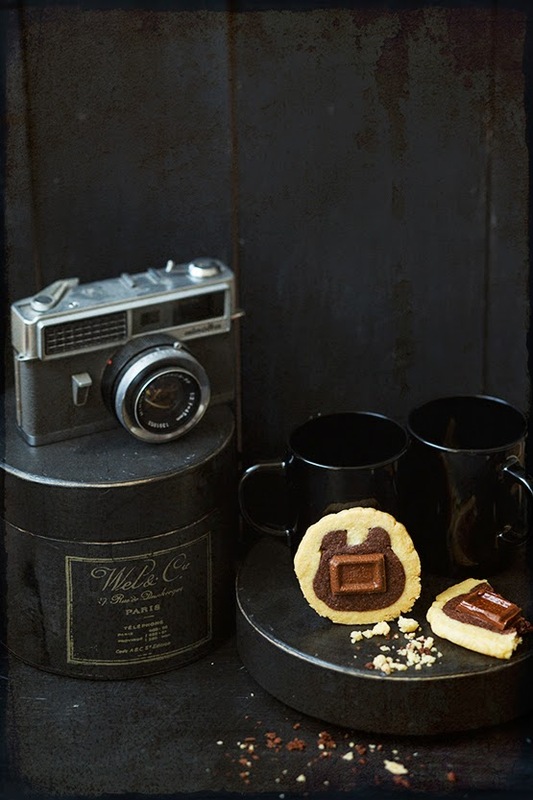 You can put chocolate on the cookies when you bake them, according to your liking. Personally I like them better with chocolate.